some of those people found in the bible are great bible heroes. It aims to inspire them to realize just how they can be a hero too; by trusting God and having faith in Him. This series is a 5 part series and is best used when combined with a SUPERHERO SUNDAY! The final session; Jesus You’re My Superhero is a great session to end on where you can invite all your children and childrens team to come dressed as Superheroes as you discuss why Jesus is the greatest Superhero! of the heroes theme. You could make one of your activities a chance for children to create a superhero sign or symbol for the different characters – especially for Jesus! Hero themed bunting. Why not hang hero themed bunting around your room as a reminder of the ‘Heroes of Faith’ theme?! Inflatable Globes. Hang inflatable globes as a challenge to remind the children that superheroes don’t just help a few people – but they save the world! Superhero Characters. Paint superheroes on large cardboard or wooden plaques that can be placed at the front of your room. superheroes make an impact on cities as well as the world. Check out our Pinterest board for more Superhero theme ideas. Children will learn that to follow God means to hear, obey and trust in Him – no matter what age they are! Children will learn that having faith means to expect the best of a situation because God wants the best for us! Children will learn that being a hero means thinking fast by praying and involving Jesus in our situations. Children will consider how small their fears are in comparison to the faith that God gives us! 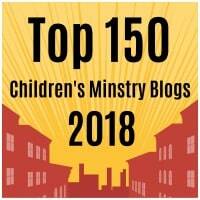 Children will have the chance to discover how Jesus is the greatest Superhero. Why not build this up as a great finale with everyone dressing up as superheroes – including your kids team? !